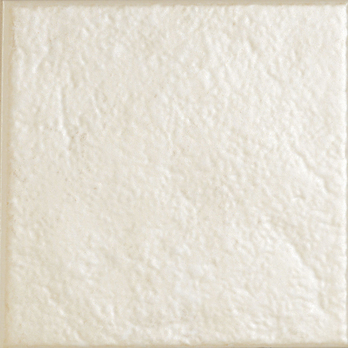 Square ceramics with a satin finish and cream colour can be used to great effect as part of a wall design within a bathroom or kitchen. 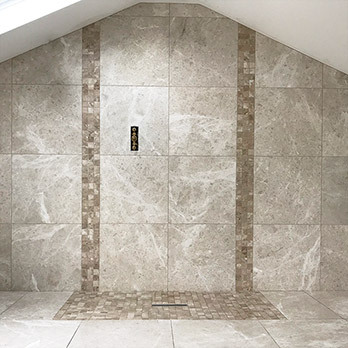 Providing interiors with an elegant appearance through its soft neutral shade, smaller areas can appear larger through the inclusion of this Ashbourne cream wall ceramic. 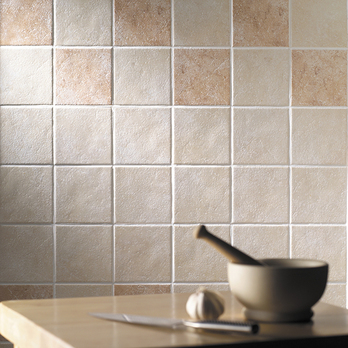 Matching this wall option with a light coloured grout can really bring out the best in this high quality covering. 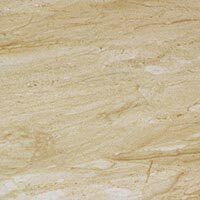 The handy 148mm x 148mm size format also makes it ideal for DIY projects. Combining this wall option with wood effect or stone features can be highly effective. 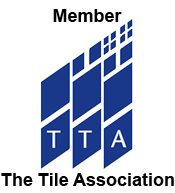 You can order a sample for a closer look direct from Tilesporcelain. 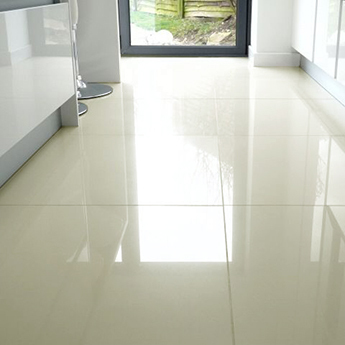 These light coloured tiles are ideal for smaller areas including en suite bathrooms and wet rooms. 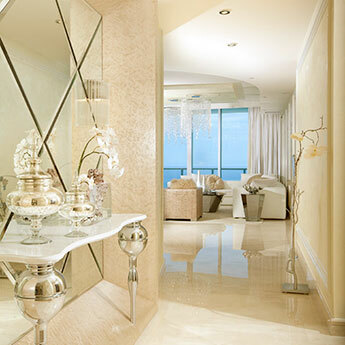 The fresh cream colour really helps to make more confined spaces appear larger. 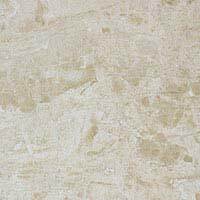 The textured satin finish provides genuine character which can transform wall layouts in bathrooms and kitchens.